Waking up with saggy and baggy under eyes is often very frustrating when you have a big and special day ahead. 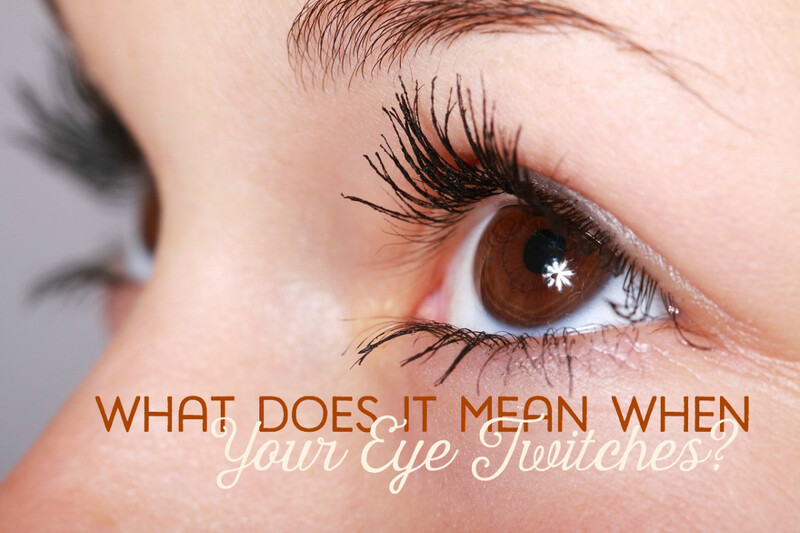 Eye puffiness is probably the most common beauty problems in which the eyes begin to swell because of several causes. Much of the causes of baggy and saggy eyes are crying excessively, unnecessary physical stress, recovering from medical operation, genetics, skin problem, and hormonal changes in the body, weather conditions, sinus problems, hangovers, poor diet, and sleep disorders or caused by a number of allergies. 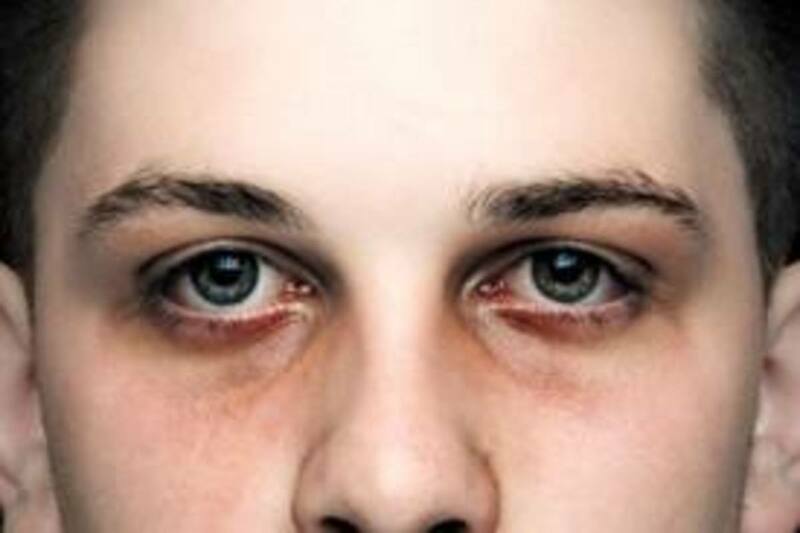 No one wants to have swollen under eyes because it can make them look overworked and sick. There is however nothing to be worried about as you possibly can do away with them with a few easy and quick fixes. Drinking water helps to reduce puffy eyes. Make sure you drink not less than 10 glasses of water daily. A properly hydrated body has a reduced ability to retain fluid which often causes your eyelids and other areas of your body to swell. Drinking adequate amount of water daily will help to eliminate harmful toxins from the body. Along with increasing your water intake it is best to cut back on the amount of salt you use. And yes it is best not to consume carbonated drinks, caffeinated beverages, or sugary liquids as it can cause dehydration. Use green tea or white tea bags, both generally helps to ease saggy baggy under eyes Tea bag helps to lessen the puffiness around your eyes since it has anti-irritant properties. Additionally it will decrease the redness and inflammation. 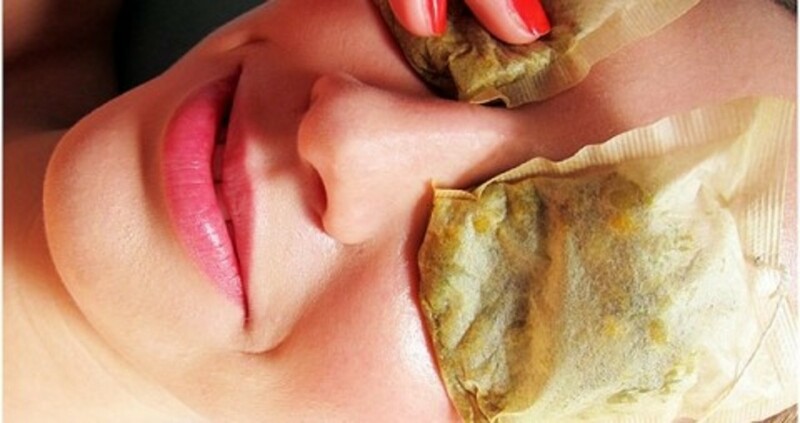 For the treatment of puffy eyes, it is best to place moistened tea bags over your eyes. To do this, first dip the teabags in hot water for several minutes after which take them out and let them to cool down to a warm temperature. 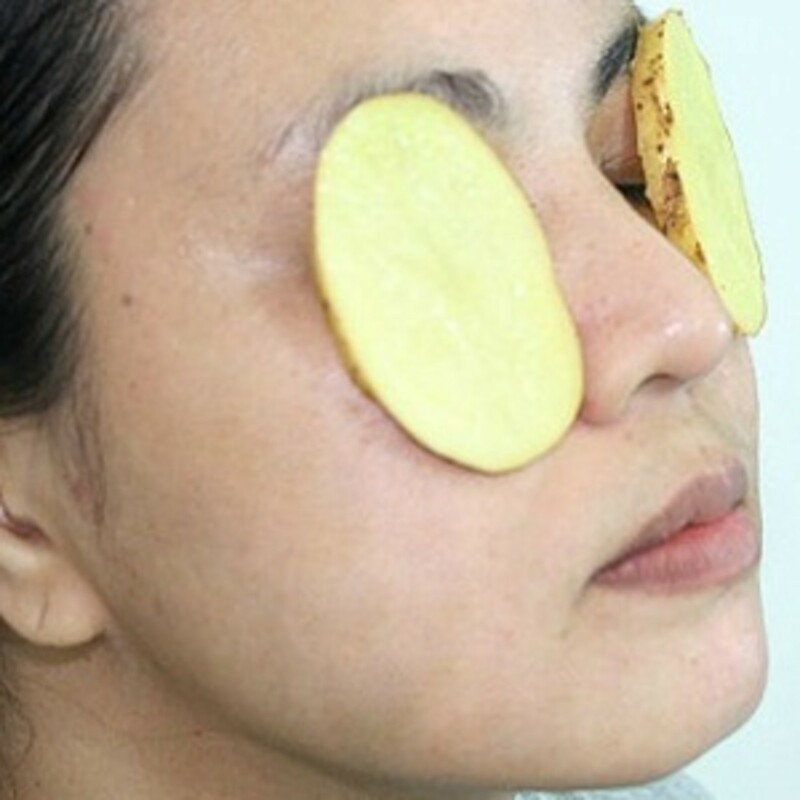 Simply lie down and place the tea bags over your eyes and cover them with a soft towel. Over time the puffiness around the eyes will diminish. 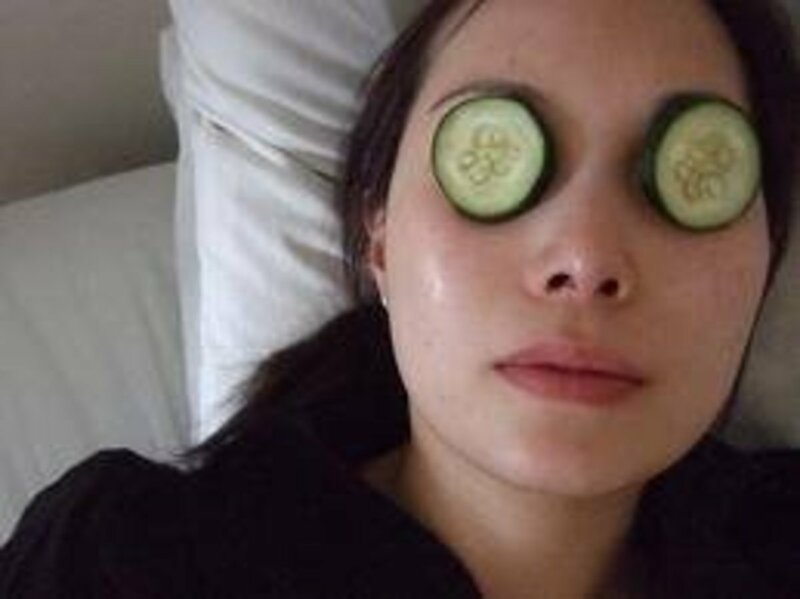 Cooled cucumber is an effective option to reduce puffy eyes. The enzymes and the astringent-abilities inside cucumber minimize redness. Take 1 small sized cucumber and cut them into thick slices. Put the slices of cucumber in the fridge for 10 minutes. Next place the cold cucumber slices on closed eyes for about 10 minutes or until the cucumber gets warm. Do the process a few times a day. This method may even help eliminate the facial lines around your eyes and will lighten up your facial complexion. The effective properties of cucumbers can also be found in potatoes. Potatoes are actually helpful in relieving inflammation. The starch in potatoes offers anti-swelling abilities that help in the healing of baggy and saggy eyes. Take an average sized potato wash and cut it into several pieces, then dry it. Now grate the potato and put them in a fresh cloth and tie it up. Then place this cloth around the eyes for a few minutes. Again do this procedure a few times daily until the humps around the eyes gets reduced. This treatment is also very useful in curing common headache. Egg whites contain skin tightening properties that can offer a big help to fix your puffy eye problems, including help to prevent wrinkles. Crack 2 eggs in a container after separating the yolk from it. Now whip the egg whites carefully until you get a firm consistency. Add a few drops of witch hazel, lavender and patchouli essential oils which are all a pure natural skin-tightening astringent. Then with the use of brush or fine towel, apply this combination under the eyes, massage gently and let it dry. This technique can help the skin feel lighter and look less puffy. Grab six metal spoons and put it in your freezer for 10 minutes. 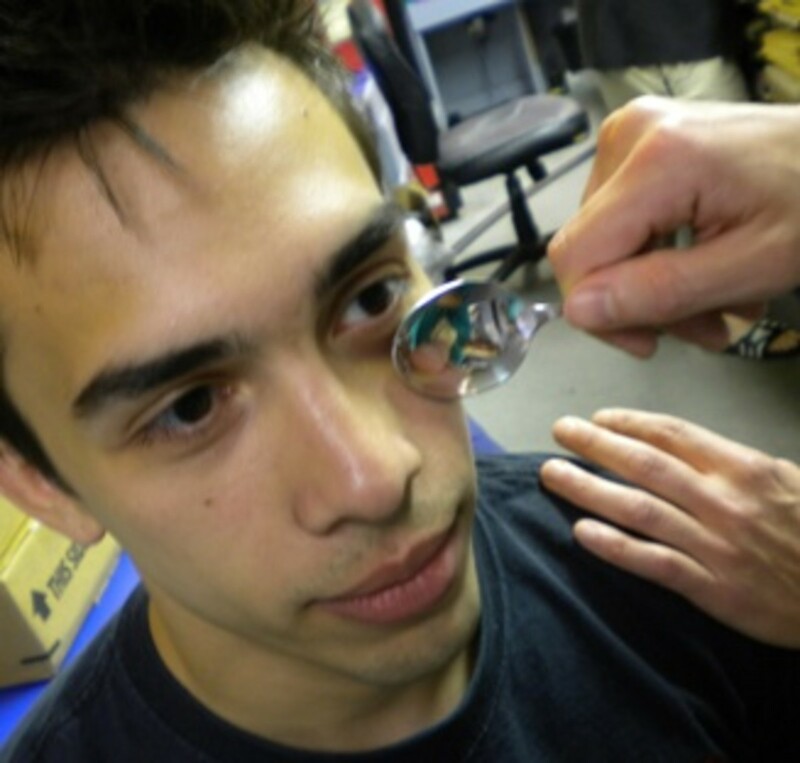 Now take out one cold spoon and hold the rounded part against your eye for a couple of minutes until the spoon gets warm. As the spoon warms, get another cold one from the freezer. This should help you in tighten up the skin and muscles around your eyes. It will also loosen up the blood vessels as a result providing release for tired red eyes. 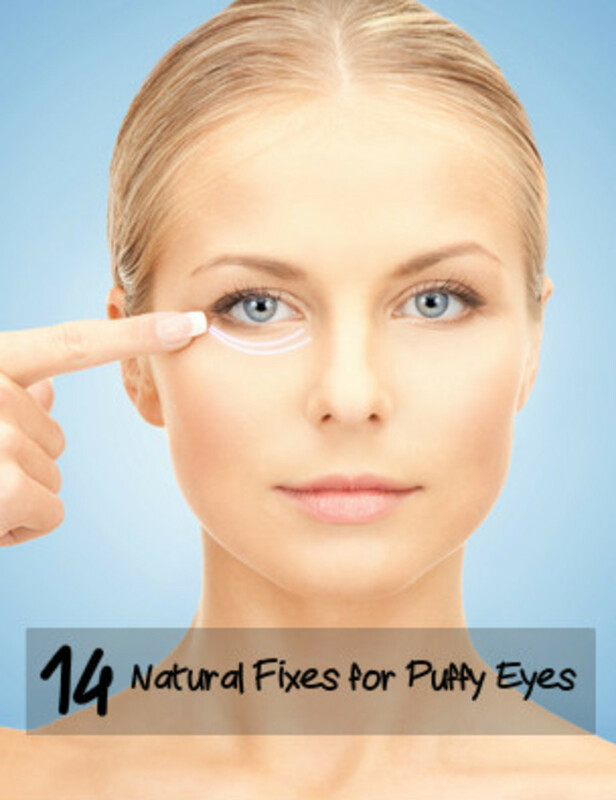 This easy at-home remedy is amazingly quite effective when it comes to relieving puffy eyes. For those uncomfortable applying a metal spoon, you can try a bag of frozen peas. 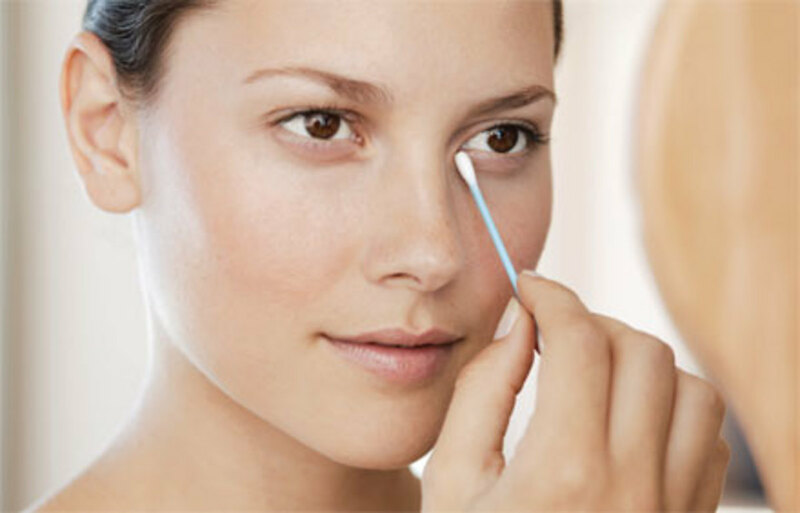 Saline solution helps to reduce eye puffiness. To make saline solution use a glass of warm water and add half teaspoon of salt in it and mix it properly. Check the water is not too hot. Then use cotton balls in this warm saline solution and apply them gently over your eyes with massaging motion for a few minutes. Do again not less than half an hour. After a while, you will see the puffiness disappeared. If the cause of your baggy and saggy eyes is sleeping problem, then ice-cold water remedy may very well help you to treat it. The cold water will help tighten the blood vessels and reduce bulging. Wash your face a few times with freezing water to reduce the puffiness around your eyes. Again do the procedure a few more times during the day, normally as you need to. Otherwise you can try an ice bag and place it on the eyes. Do it again as needed until the swelling is no longer there. If you are facing puffy eye problems you can use strawberries to clear away the bagginess within several minutes. The alpha-hydroxy contained in strawberries helps make skin look smooth and youthful. Likewise it also eliminate under eye puffiness and swelling. To start using strawberries keep them in the fridge for half an hour. Next remove the tops of the cold strawberries, and slice them for several pieces. Now rest and place the pieces under the eyes for a few minutes. 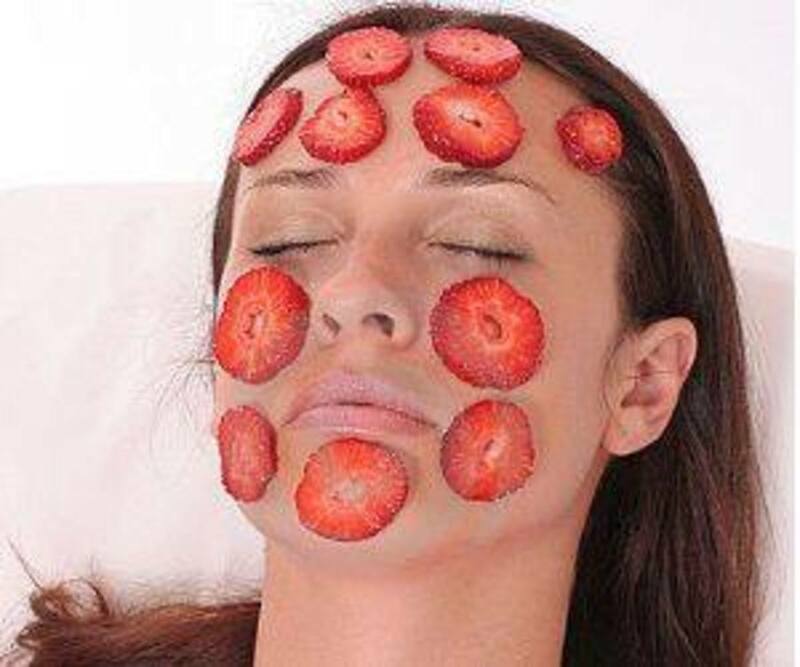 After the strawberries are removed, you will see positive effects. The detox busting along with vitamin E inside Aloe Vera works well in minimizing puffiness around the eyes. You can try the Aloe Vera extracts on the troubled area under your eyes. It can regulate the blood flow and clear away the fluids present around the eyes, as a result reducing inflammation. 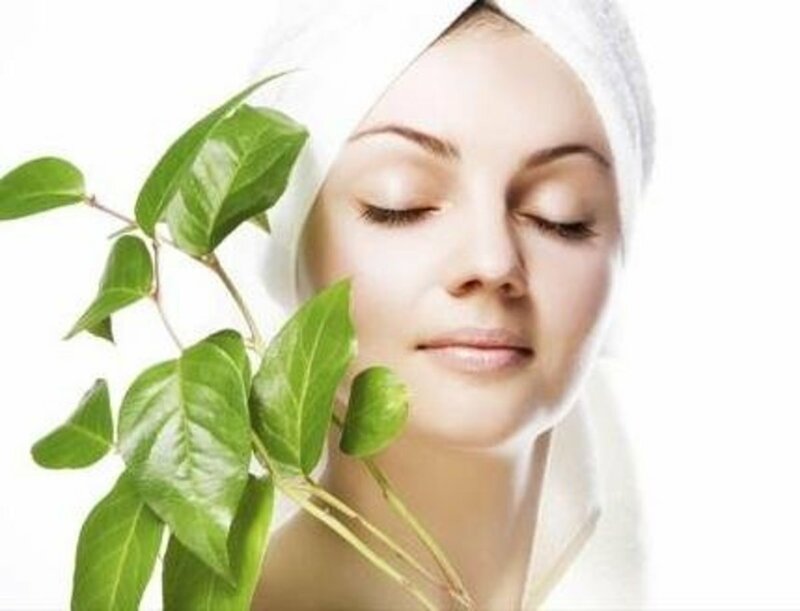 When using Aloe Vera extract around the eyes you need to be cautious as it must not get inside your eyes. In case you have irritation using pure Aloe Vera extract, you can find many skin treatment items containing Aloe Vera extracts. Have sufficient sleep at night. For many of us, 7 to 8 hrs a night is actually the best amount of sleep. Sleep with your head lightly raised. Place an added pillow or support the head of your bedding. Or, lift the entire head of the mattress one or two inches. 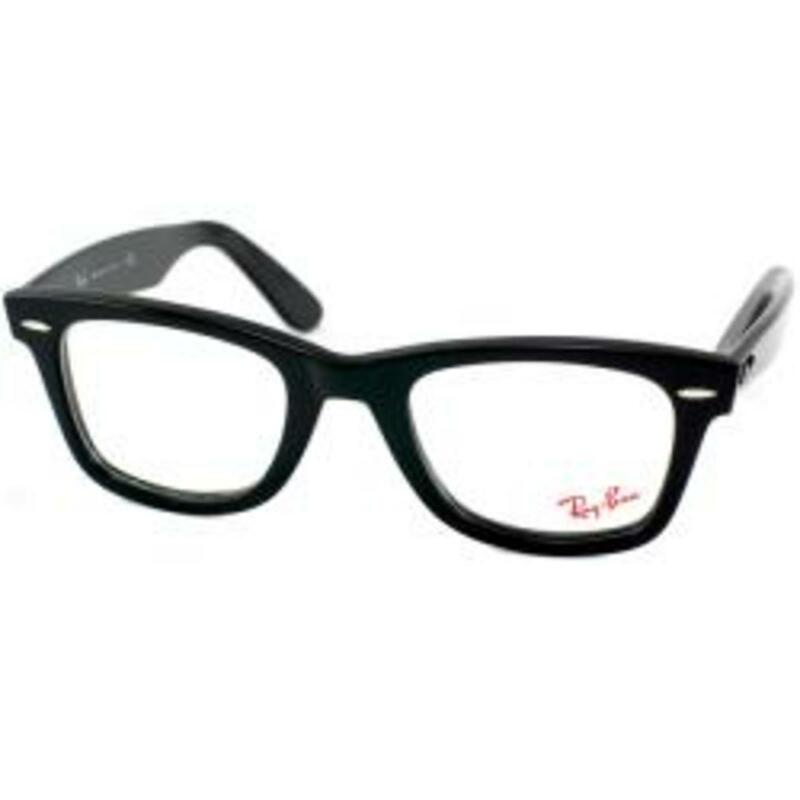 This will help to avoid fluid buildup around your eyes while you sleep. As much as possible minimize allergic reactions. Avoid things that trigger allergies whenever possible, and consult your doctor about non-prescription or prescription allergy medicines. Speak with your doctor concerning preventative methods if you develop puffy baggy eye reactions due to hair coloring, cleansers, beauty products or other irritants. Eat a well-balanced diet. Lack of Vitamin K or B12 (cobalamin) could be a serious reason for puffy eyes. Include several fruits and veggies in your diet as well as plenty of water to get all the vitamins and nutrients. Don't take too much salty foods. Don't smoke, and constantly apply a sun cream around the eye area. Cigarette smoking and exposure to Ultra-violet light both damage collagen and cause early wrinkling and sagging. 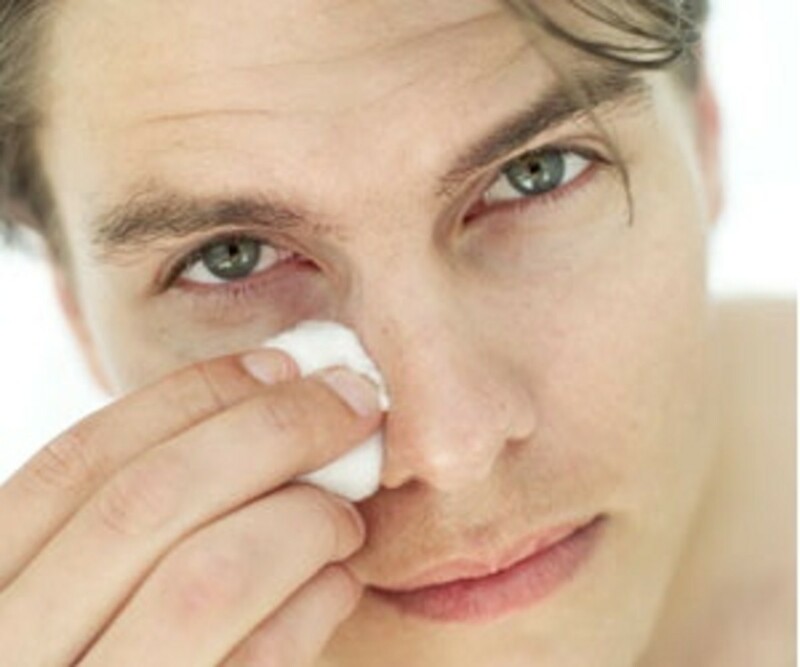 Use a moisturizer to the eye area at night. You don't have to spend too much. Almost every local pharmacy moisturizing cream provides the hydration effect you need. Add a doctor prescribed retinoic acid the vitamin A skin cream that goes by the common name tretinoin to your skin care routine. It's the only simplest thing you can apply to prevent facial lines and wrinkles and help existing lines. 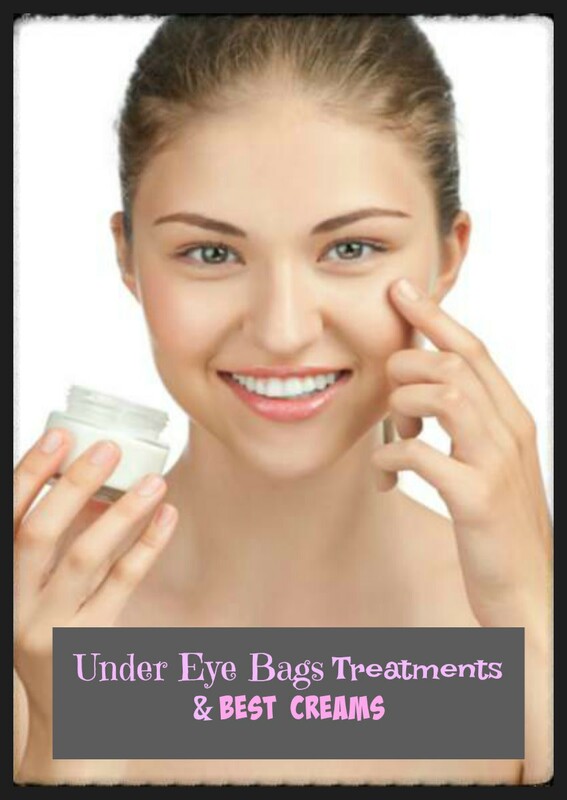 To summarize, next time when you have saggy baggy under eyes simply make them disappear using some of the above mentioned solutions at home. On the other hand, if you have puffiness under the eyes for no clear reason and it is followed by aches and pains and your eye become blurry, make a scheduled visit with your doctor immediately.